Easter egg background with copy space. BRYAN, Texas — The Blue Bunny Breakfast and Egg Hunt scheduled for Saturday has been canceled. Due to weather, Bryan Police and the City's Park and Recreation Department canceled the event. 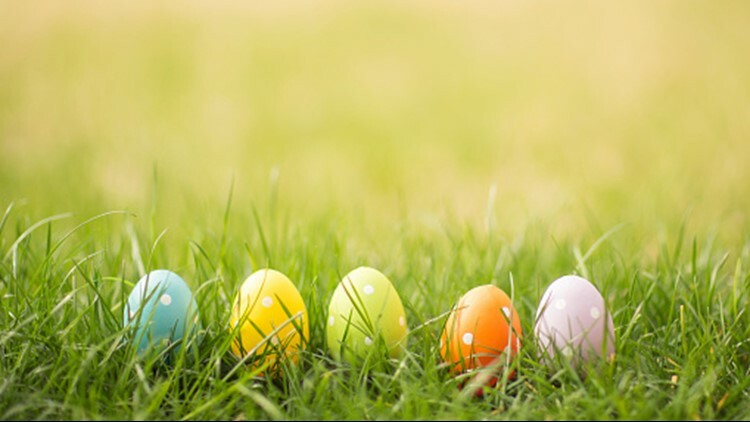 The event was supposed to be held on Saturday and feature a a free community Easter egg hunt. Community members could also enjoy a picnic breakfast, face painting, train rides and pictures with the Easter Bunny. In a press release Bryan PD stated, "Unfortunately, due to the forecasted weather this year’s Blue Bunny Event is canceled. We look forward to seeing everyone next year."